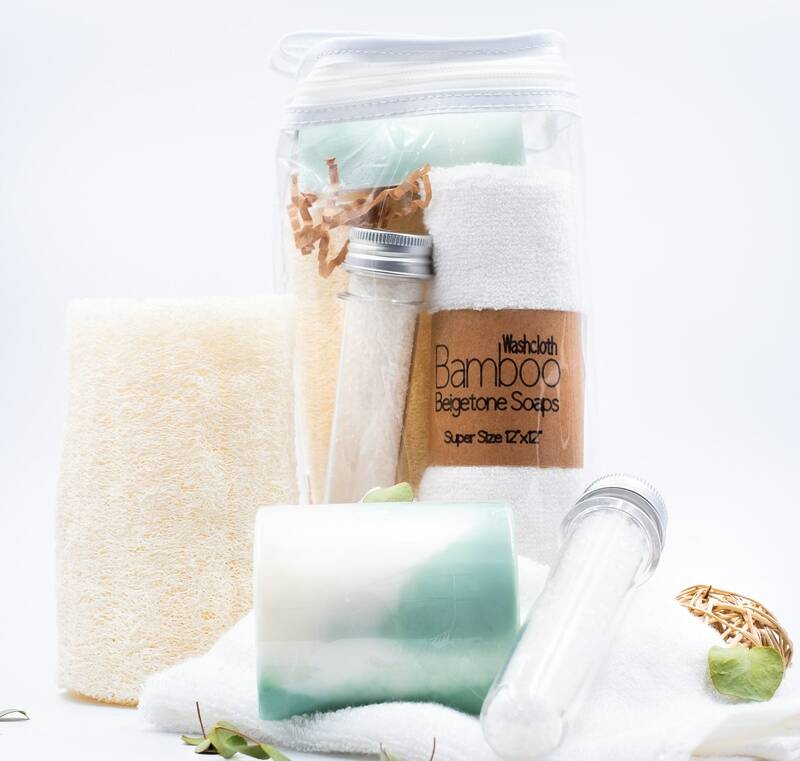 Spa sets unique and soothing gifts. 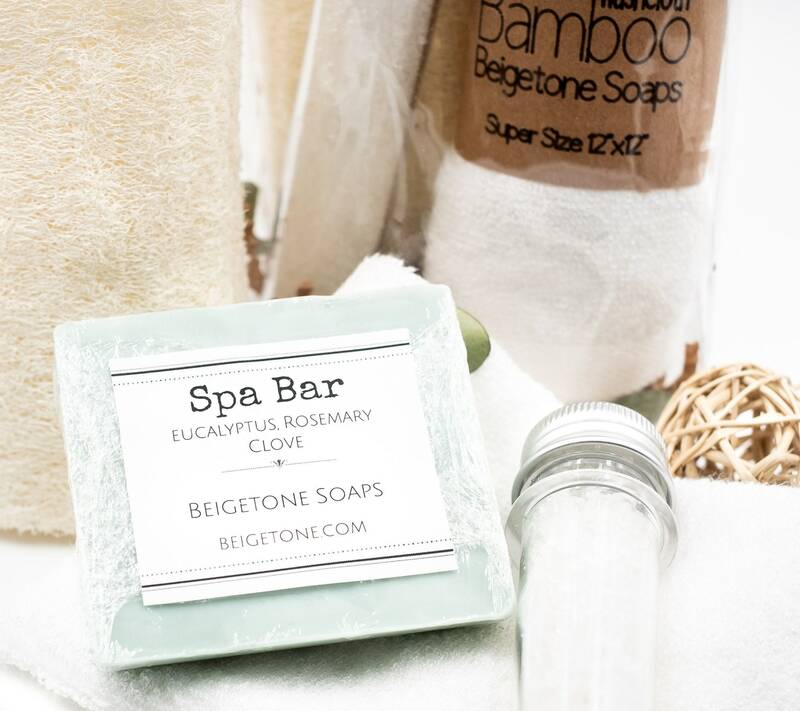 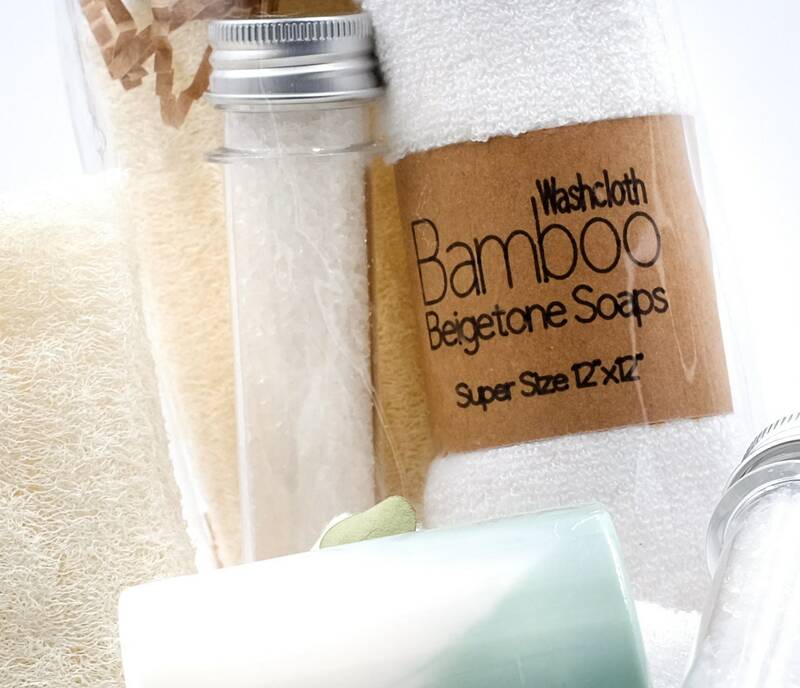 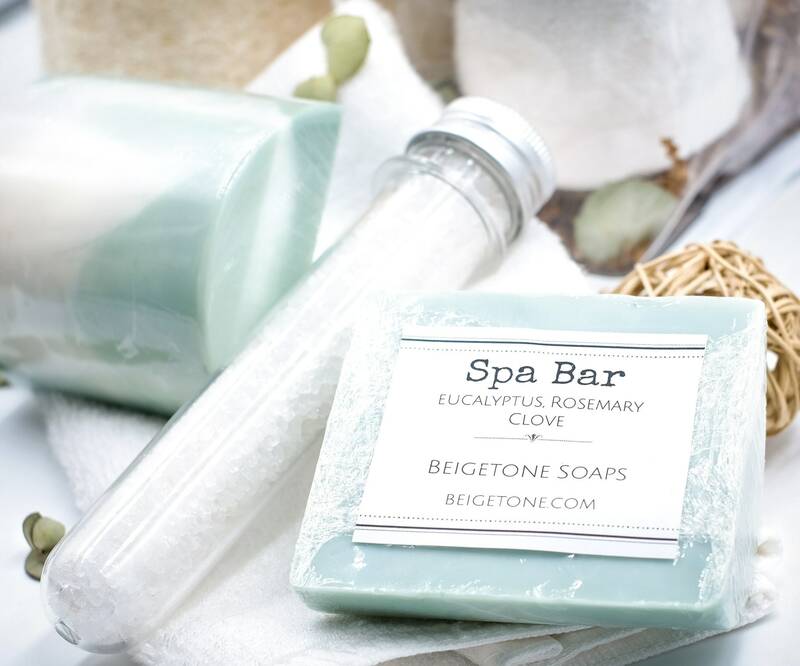 Our Eucalyptus spa set include a special blend of Eucalyptus, Rosemary and Clove soap bar, soft cream bamboo washcloth, Eucalyptus bath salts and large Luffa sponge (2" round x 5" tall) all in our vinyl zip top carry bag. 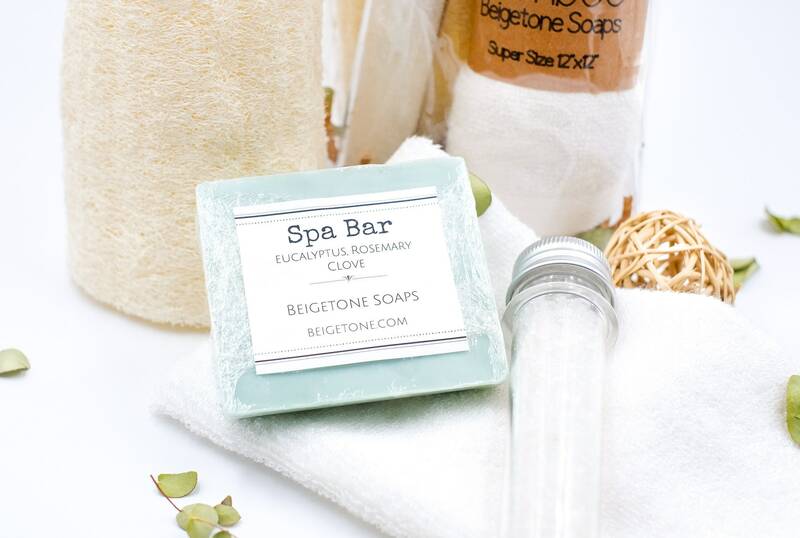 Send us a note and we'll send it direct to your special someone.